Brennan's Oyster Soup - have a taste of New Orleans any night of the week. Home » Copycat Restaurant Recipes » Brennan’s Oyster Soup – have a taste of New Orleans any night of the week. Brennan’s Oyster Soup – have a taste of New Orleans any night of the week. If you are going to New Orleans, Brennan’s is a restaurant you definitely want to stop at. You can’t go wrong here, home of the Banana’s Foster dessert. Here is their fresh Oyster Soup. You can enjoy Brennen's Oyster soup at home with this easy recipe. Melt the butter over medium heat in a six quart heavy saucepan, then sauté the celery and green onions until tender but not browned, stirring frequently. Gradually stir in the flour and cook five minutes longer, stirring constantly over low heat. Add the remaining ingredients and simmer for twenty minutes. Remove the pan from the heat and scoop out the bay leaves with a slotted spoon or a long fork; discard. Serve immediately. Do not reheat. 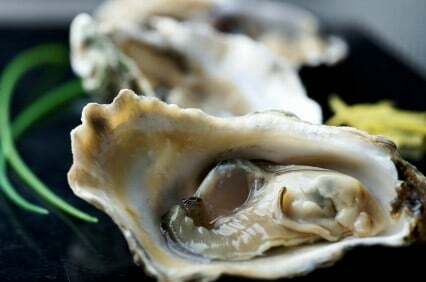 Love oysters? Try some of these recipes. This was the single most awful soup my family has ever eaten. The flour was like a soupy glue and there was absolutely NO stew value at all. My husband is the most disappointed as he is the true oyster lover in the family and spent a lot of money buying these ingredients today. This is shameful. I am very sorry you did not like this recipe. I can imagine it was very expensive to make this recipe. 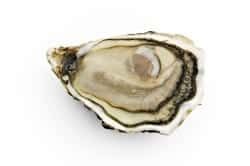 Next, the oyster liquor should be added very slowly, stirring frequently, until it is incorporated into a smooth creamy consistency. If the liquor is added all at once or too fast, the soup will clump. Thanks for your tips. Once you master making a sauce from a roux it really opens up the possibilities for you. I’ve never had Brennan’s Oyster soup but this was so good! My family really enjoyed it!